Quothquan Workshops offer a galvanised chassis fitting service as part of an overall vehicle refurbishment. We do not perform straight chassis swaps where the body is lifted off in one go and replaced on the new chassis. We have found in the past that if the Land Rover has got to the stage where the chassis needs replacing then other significant components will often need attention too. It is much easier to repair or replace these parts during the chassis replacement process and in the long term better value for money. 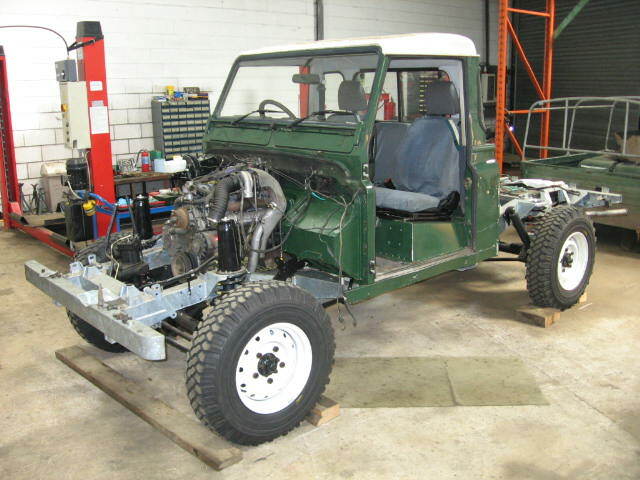 We prefer to thoroughly inspect Land Rovers before quoting for a replacement chassis. This way we can highlight any additional work that we consider necessary during a chassis replacement and give estimates of cost. We often find that bulkheads require repairs, station wagon sills/b-posts require welding or replacement and body mounting brackets can be badly corroded. The aluminium bodywork can have significant corrosion where it meets steel mounting brackets, often a particular problem in the rear bodywork. We purchase our galvanised chassis from Richards Chassis of Mexborough. They offer a good quality chassis constructed from 2.5mm British steel with excellent galvanising. Richards Chassis also clean out all threaded holes of excess galv and ream out all spring mounts on leaf sprung chassis, saving us additional labour during the chassis replacement. 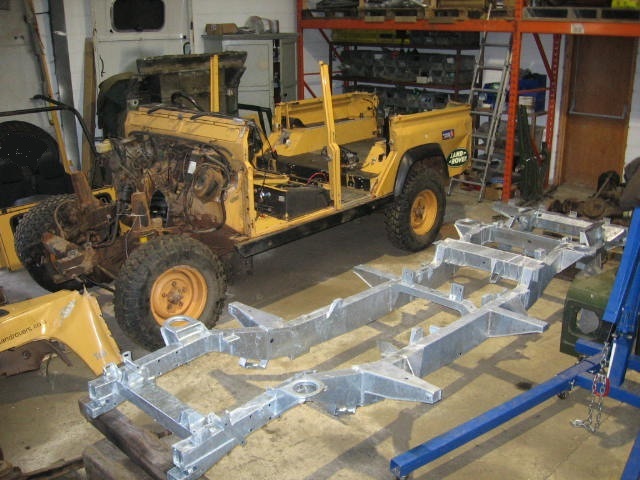 Richards Chassis also offer a huge range of chassis for all Defender models and Series Land Rovers and can also build bespoke modifications into their chassis such as rollcage and winch mounts.